Dougie Hamilton, a defenseman for Niagra of the Ontario Hockey League, and Joel Armia, a right wing for Assat, are ranked fourth on the Central Scouting Service rankings list. Each day as we get closer to the June 24 NHL Entry Draft in St. Paul, MN, the Islanders Draft Central will update with a new North American and European player profile. Below, each of the top 30 North American and European prospects will be listed. On Dougie Hamilton - Hamilton is a big mobile defenseman who has showed big improvements in his offensive and physical games this year. He finished fourth in scoring for defensemen with 58 points (12 goals, 46 assists) after having just 16 points last season. He is a very strong skater and has the ability to rush the puck. He is a guy who likes to step up and hit, plus he has the size to do it. On Dougie Hamilton - He moves the puck well and makes good outlet passes, he does make good decisions with the puck, moves it very well out of his zone. He's a big guy, he'll take the body. … He uses his size well. He can muscle people off the puck. On Dougie Hamilton - Especially at this level, you find guys that are awkward or don't have a lot of explosion. You're 6-foot-4, you don't have a lot of explosion (but) the jump off his skates is phenomenal. When he sees those opportunities to jump into the rush or lead the rush, I really believe it's untapped what he can do. He's a very special defenseman in our league. He just has to understand the details and he's going to be a very good pro . . . Dougie gets himself very prepared for hockey games. He's very diligent preparing himself. He goes about it very business-like. He's mature beyond his years. 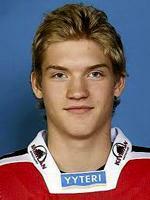 On Joel Armia - Armia is still fairly skinny, but extremely talented. He has a good shot and finds different ways to score. After 10 seasons as the Mississauga IceDogs, the team moved to Niagara in 2007. In 2004, the team became the OHL Eastern Conference Champions, winning the Bobby Orr Trophy. Following the move to Niagara, the IceDogs were eliminated from the 2011 playoffs (in the third round) to the newest team in Mississauga, the St. Michael’s Majors. The Islanders have not selected any players from either Niagara or Mississauga in any previous entry drafts. 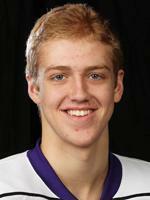 Thus, if the Islanders select Dougie Hamilton, he will be the first player selected from the IceDogs franchise.